. I also understand that some people don't like me posting videos here because I basically plug myself here. So I want to give you also a more written and dense version of what I said without the things which are now gone e.g. the sales. 1) You need 92.550 exp from a full elite Leo to get to the T8 tank instantly. You will go through the engine modules, meaning you gotta research all engine modules to be able to use the 92.550 exp to get the Udes 14 Alt 5. Keep in mind that if you got the Leo elite and grind EXP on and you convert free exp if you do not unselect it, it will take EXP from the Leo and you loose all the progress on it when you exchange for free exp. 2) I recommend to get just in case the track equipment which allows you to put on additional weight on the tracks via an equipment slot. The tanks with a good crew feel great and have good viewrange. T8-T10 have the same amount of viewrange and with bia, recon, situational awareness, vents and optics you get 472 meters of viewrange. You can easily swap the vents for the tracks equipment to not have to grind the exp for the tracks of the t8 and t9 tank. Which can save you as far as I remember around ~40k exp over both vehicles. 3) The T6 Medium swedish tank is THE perfect crewtrainer for the swedish mediums. Same crewlayout with same specialization as the T8-T10 tonks. Lansen C has an additional crewmember, Primo has 2 additional ones. 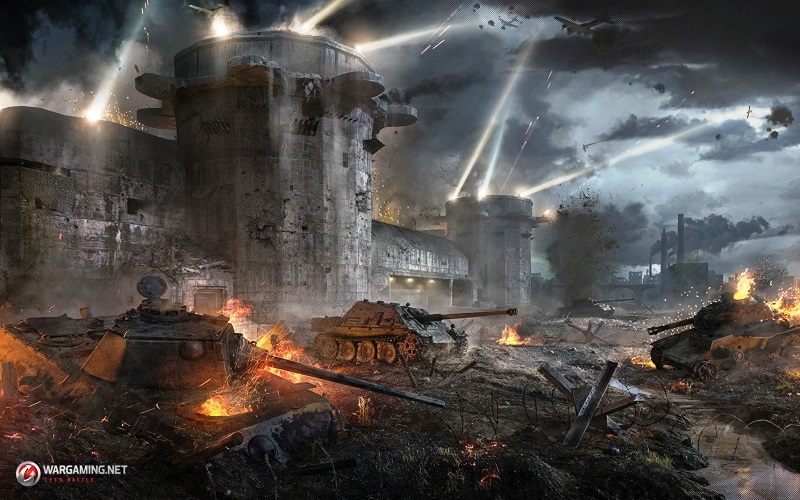 Read: I can't seem to enjoy playing World of Tanks anymore, and i believe this is why. 4) The T8 Udes 14 Alt 5 looks good to play somewhat stock. I recommend to get the middle gun which costs 16k its better in every single aspect compared to the stock gun. Although the stock gun doesn't look THAT horrible. The topgun is interesting, slightly less accurat, slightly less DPM, better Alpha better pen, compared to the 9cm gun. So you can take what suits your style best. Alpha or consistent max dps. 5) T9 tank lacks of bad gun penetration. Stock gun is topgun of T8, topgun of the T9 needs 59k and only gets 20 more pen to around 237mm apcr standart pen. Dpm looks bad at 500 less then the t10 vehicle. Stock turret doesn't look too bad, topturret actually has weakspots against 150cm guns. I have a look at this maybe tomorrow on the CT. Topturret is nice though because the 390m base viewrange. Overall the only problem for the t9 tonk will be the stock gun. 6) Engines for the T8 and T9 tank are NOT needed. The Speed hp/t ratio is the same for t8 and t9 tank and is equal to the one of the t10 tank. So you get used to it and don't need to waste exp into them. 7) The only modules which are shared between the techtrees are the radios, guns and engines are unique. Again I suggest not to waste exp onto engines. MAYBE the t8 tank will need it for frontline! So uhm yeah… I hope this helps a bit out. Overall I calculated if you want to make the T8 and T9 tank elite without engines you will need 177k free exp. If you take the tracks equipment you will need around 130k exp and without getting the topgun of the udes 14 alt 5 I'd suggest around 100k. Lastly you could skip the turret of the T9 tank and you are left with 75k exp needed to get the second udes 14 alt 5 9cm gun and the topgun of the t9 udes 16 which I think are necessary to make the tanks feel nice to play. Read: What I learned after coming back to the game after more than one year away. Thank you for your attention and happy preparing as well as happy grinding frontline. © Post "Preparing for the swedish medium tonks" for game World of Tanks.